This lovely region in the northeastern France on the Rhine River plain, is one of the most unique regions in the country. 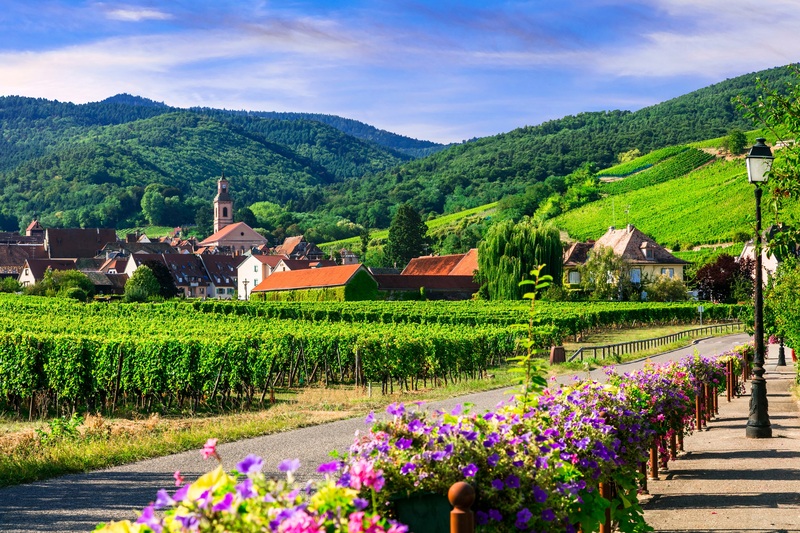 With Swiss border to the south and German border to the east, it offers a truly distinctive language, cuisine, architecture and history. 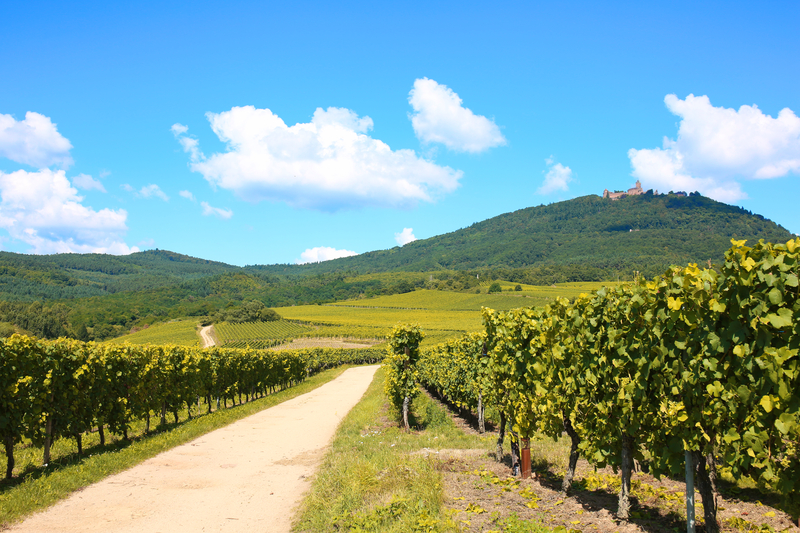 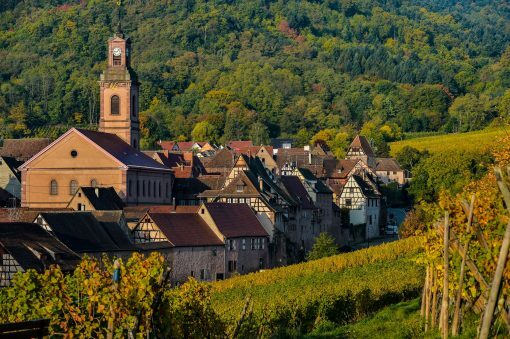 The landscape is idyllic with its rolling countryside, beautiful vineyards and fairy-tale like looking towns and villages. 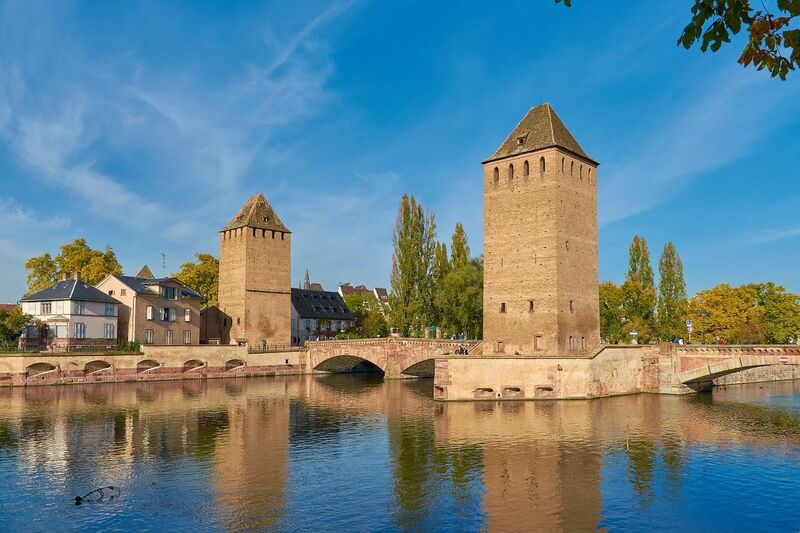 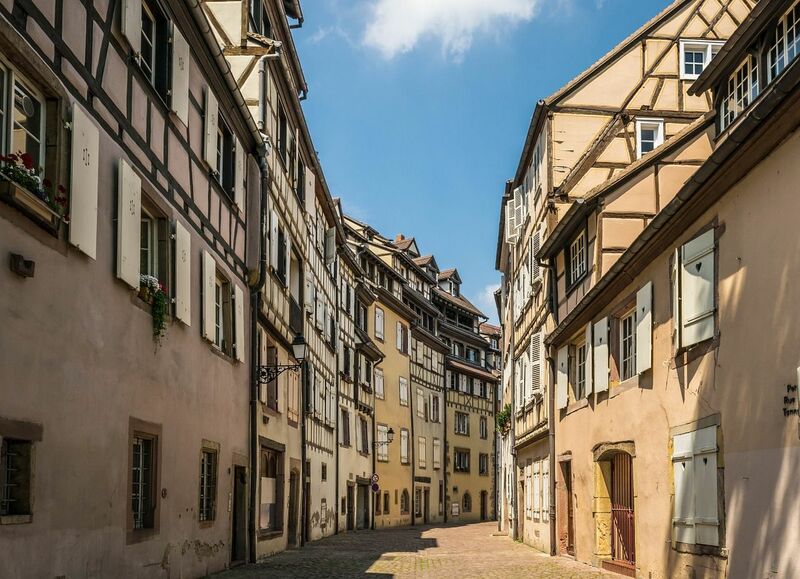 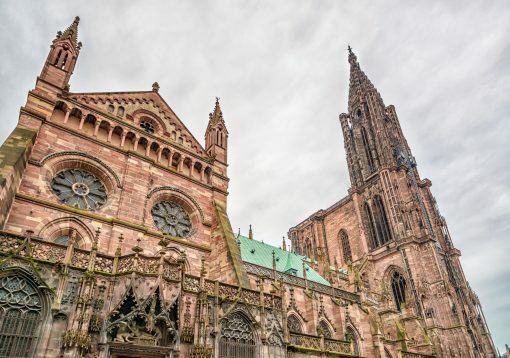 It offers the visitor great history and culture with towns like Strasbourg, Colmar, and its amazing monuments like the great Gothic Cathedral of Strasbourg. 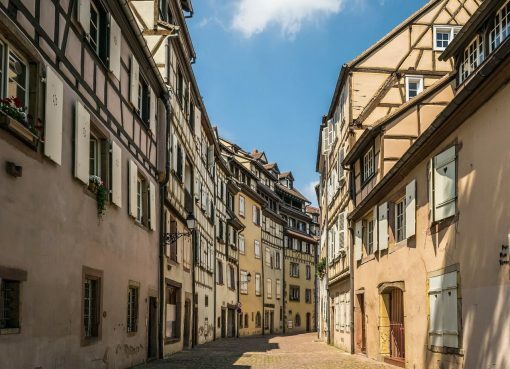 The unique style of architecture in Alsace with its half-timbered colorful houses, is a testament to its interesting past. 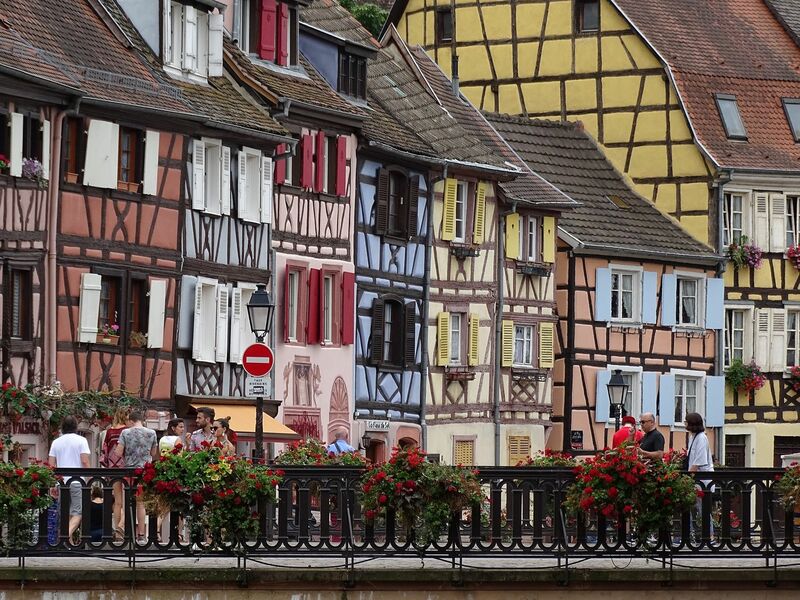 The colors once represented the kind of shops that were housed in the houses. The baker and the butcher for example would have different colors painted on their shops. 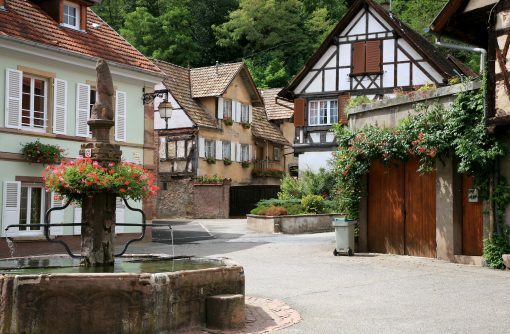 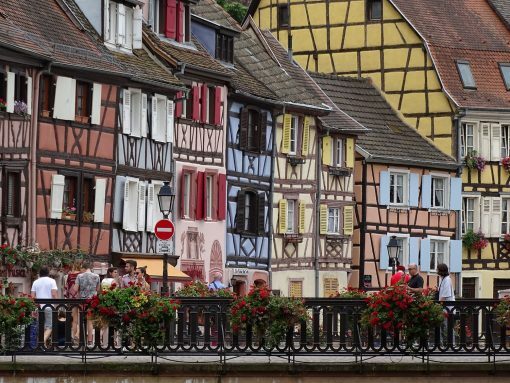 This charming tradition has become a trademark of Alsace.